Now these days Dedicated Servers are the more essential part of our business for all type of business whether it is small or medium. Usually when we host our websites we need superior servers which can fulfill our all requirement or need. Whenever we host our website we need extra bandwidth by which we can feel comfortable to host our website as well we also need a secure server setup so that no one can hack our server and take important data. We usually need a hosting Server which will not be shared with anyone so in this case we want to choose dedicated hosting server which is more secure and do not shared with anyone like shared hosting server. Now in this competitive world it’s very hard to find a hosting server provider which will carry out our all requirement at a very affordable price especially in India. 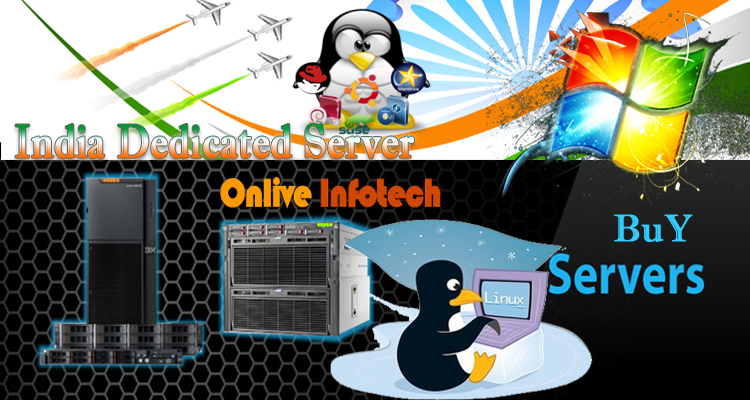 So now Onlive Infotech LLP has the solution of your all type of requirement as it brings a cheap dedicated server India at a very affordable price and with lots of features with it like extra bandwidth to your website, more security and a data backup at a certain interval of time. Due to extra bandwidth you can easily host your websites and generate more traffic on your website and because of cheap price it can be easily purchase by all type of business class whether it’s a small or medium. We provide you root access permission or full control over your server so that any changes and modification can be done very easily by you without others permission. We also keep a copy of your server data on the other location far from your server so that in case of any disaster you can easily recover your data without any data loss. We provide you our own data center in many locations including India due to which you will get full network uptime as well fastest speed and that why we guarantee you to give more network uptime. According to our customer need we provide both Linux and Windows operating system. For Linux we offer CentOS, Debian, and Ubuntu and for Windows we have Windows Server from 2008 to 2012 which is based on. Net framework and applicable for all windows based application. Here you can take the advantage of 4Core × 2.5 GHz processor, up to 16 GB RAM for better process and up to 200 GB HDD storage to store and process your huge amount of data. You can also use our India Dedicated Server for your many purposes like development of site or software, video encoding, remote file storage, gaming and in many more. Besides these all we give you a firewall protection to your server and protect your server from unauthorized user as well as our technical support team monitor your server all day and night. During any server issue you can easily contact to our technical support team they will be always available for you. You can contact them via telephone or mail.